← Cucumbers Still Fresh 33 Years Later! Phew! Can you feel the tension that has built up for 34 years dissipating? He’s finally doing what everyone and their monkey wanted back in 1983! “Better late than never,” they’ll say! Well, I’m here to say that in this Monk’s case, the tension is only just starting to build. First of all, let’s see this vaunted album and view its contents. Man-o-Manischewitz! That cover is not taking any chances at all! It is making absolutely certain that all and sundry know that the sequel that everyone and their pet chinchilla wanted in 1983 is getting ready to drop…now! Of course, the big difference is that Martin Fry is no longer front and center. Now he’s the éminence grise; the older, wiser fool watching the next generation get all beaten up in the game of love. I like the conceit, but the rigid format aping the original is not especially inspired. The leading pre-release single is a song that should be familiar to any die-hard ABC fans. “Viva Love” first appeared in 2004 on this [see left] 3xCD compilation from the Netherlands called “The Ultimate Collection.” Obviously, the song had been hanging around for a while. The version that has previously surfaced on this release in a Brothers In Rhythm edit was a decent enough song. I’m fully confident that the version on this album has been completely renovated [checks]. For a start, Fry has enlisted Anne Dudley to once again orchestrate the string arrangements for this album as she did on the first “Lexicon” album. I’m guessing that the “Lexicon” live shows four years ago put the notion on Fry’s mind to revisit these sounds and themes and to his credit, he’s said that the album is definitely from his perspective of today. Listening to the new “Viva Love” in the iTunes store reveals that the album production has a warm, string laden sound and is more engaging than the first version and IS redolent of the mid-70s soul vibe that Fry knows and loves. While the notions of sequels [aren’t they better left to the likes of Meatloaf?] gives me pause, the fact is that I’ve really loved the last two ABC albums that were released in 1997, 2008. I’d prefer them not to take a decade to gestate, but this is no longer your father’s music industry we’re living with. Fry is fortunate that majors are still interested. I did notice an interesting detail at the iTunes store when I sampled “Viva Love.” The music was owned by Fry’s company “Blatant Music” and was licensed to Virgin/EMI of UMG, so Fry is holding his cards smartly. While word has gotten out that Ms. Dudley has co-written some of the songs here, so has one Rob Fusari, who was unknown to me, but he apparently has writing credits on Beyoncé and Lady Gaga hits. [Monk furrows brow]. Another co-writer is Marcus Vere of… Living In A Box. I can’t speak for your mileage, but I considered Living In A Box the cut price ABC for the indiscriminate. The final tidbit of information that almost gives me encouragement against the sobering facts of his co-writers, was that the album was titled by the record company, and not Fry. One imagines, that it may have been a condition of their distribution of the album that everyone and their pet ferret was clamoring for in 1983. For the record, I was one of those [sans ferret] back then, but a few months later, I came to realize the error of my ways, and when I finally bought “Beauty Stab,” I felt it was a bold, under appreciated album. Perhaps I shouldn’t worry unduly. While “Skyscraping” is my favorite ABC album with Glenn Gregory and Keith Lowndes writing the tunes with Fry, “Traffic” with co-writing by the unknown Chuck Kentis, was almost as good. He may not be especially prolific, but when Fry puts out an album these days, he’s not wasting anyone’s time. So I will be there will bells on May 27th. The question is: which format shall I buy? The ABC webstore has some pricey choices. This puppy includes a listening party in London with Fry and Dudley for your …[gulp] $425!! Wow! That’s a lotta clams! While normally these hyper-deluxe boxed sets have unique music that tempts me against my financial realities, this one is stuffed with exclusive DVD content instead of music. That’s different. Very different. Of course, the main event is a listening party on May 20th with Fry and Dudley in London, so that’s off limits to the likes of me any way. The same package minus the listening party is a scant £100/$143. Still not tempting. The signed test pressing of the new LP for $110 is already sold out, but there is a signed CD, limited to 500 worldwide, for $29. That’s more in line with my budget, but I would probably forego the autograph and pocket enough to buy a few other titles I want. I am concerned that a standard CD is not on the US Amazon store as a pre-order. Does this imply that there will only be 500 CDs [all signed] of this title in the world in the year 2016? Hmm. Must investigate this further I probably wouldn’t buy this as a DL only. Join us next month to see what course of action I eventually take on this pressing topic of concern! Meanwhile, we can discuss this further in the comments. 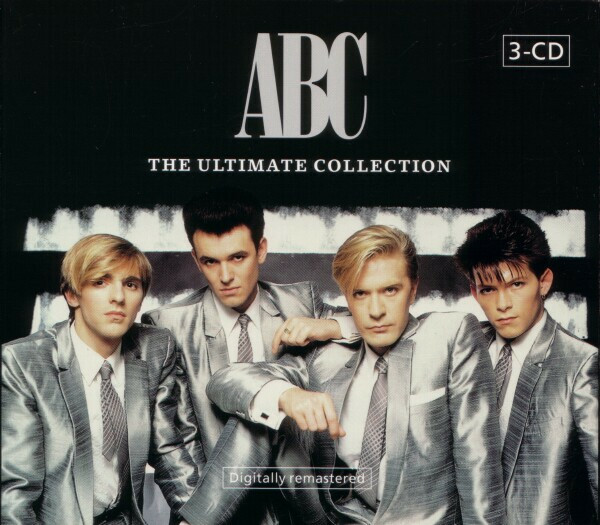 This entry was posted in Want List and tagged 2016, ABC, Martin Fry, The Lexicon of Love II. Bookmark the permalink. I’ve probably opined this on your boards before but the biggest mistake with the Lexicon of Love being followed up by Beauty Stab was the evolution of it all. If they led with Beauty Stab it would still have been an acclaimed lp, not LoL groundshaking but I think the would have been on critics radar as a group identified as ”watch these guys, they’re gonna go places.” The followed up Avalon with Manifesto! It’s not a bad thing per se, we were all waiting for LoL mach II and we didn’t get it Maybe we will now, maybe we won’t. After a SUPER disappointment I would like to thing that the only way is up right now. Tim – Well, it took guts to follow “Avalon” with “Manifesto!” I read the devastating reviews but liked “That Was Then And This Is Now” anyway. After getting the impression that I would be disappointed by it, I bought the LP and discovered that it was very interesting, especially to a big fan of “Flesh + Blood” whose rhythm section they picked for it. Still, the ghost of Roxy Music hovered over this band until “How To Be A Zillionaire” hit! That third album is my favorite of the first three! They’ve all aged well in their own ways. I loathed Beauty Stab initially because of what it was not. Then I got HtbaZ and I thought well the magic is kinda back, then there was Alphabet City, which, if you took the best of Zillionaire and married it with the best of Alphabet City you may just have had the original circa 1980’s follow up to Lexicon that we all wanted. Basically lose Jealous Lover and Bad Blood and replace them with Be Near Me and Ocean Blue and you’re headed in the right direction, there’s even some on Beauty Stab that wouldn’t be wildly out of place in that mix. Tweak the running order a bit and viola, LoL II We’ll see I am sincerely excited for this one. Tim – Good choices for upgrading “Alphabet City!” I thought that “S.O.S.” from “Beauty Stab” was on the wrong album. But for me, “Alphabet City” was the first disappointing ABC album because it was “Lexicon Of Love II” minus the inspiration. Of course, Fry had Hodgkins’ Disease at the time so I understand why it was a little thin on the ground. But that was the tipping point for my ABC fandom until “Skyscraping” rekindled the flame. Tim – I’d love to know what you don’t like about Super. I find it to be a really satisfying listen. I know that it may seem as a risk to some fans to base a second album in a row on the dancefloor, but I hear a lot of joy in what Tennant and Lowe have created. Super feels like it comes from a band in a very good place. The Pop Kids is instant and classic PSB for me. The Dictator Decides is full of that “joie de drama” that is a staple of their’s. Groovy is disco perfection! I love the way they make EDM sound intelligent and artful. The builds on Say It To Me are simply exciting. I find the lyrics on over half of the song to be severely wanting, they elevate “Winner” to Ivor Novello status. I was cold to Electric when it was released and on repeated listens warmed up to a lot of it, this one is just the Emperor’s New Clothes. I loathe the ”lyrics” and most of the music honestly leaves me cold, it sounds like very early OMD to me (which is another sound I am not fond of). I want to unhear this one. Based on what I see on FB I am in a very small minority in not liking this one. I can understand where you come from when you compare it to Electric. I went in expecting much the same, but Super surprised me on how much I remembered after a first listen through and many of the tracks have really stood out to me. It is a very “purpose built” album with Tennant and Lowe quite explicit that they weren’t done re-exploring the dance floor. I am all for another album of PSB pop classics where the words wrap themselves around the music rather than the other way around, but Super works for me. That;s one of the better written capsule sized comments on this one that I’ve seen. Not my cup of tea and hopefully in 3-4 years something else will be offered. Tim – I feel bad for not having a PSB thread, but it could take me years to get this album. Hell, I wanted to buy “Electric” in a store [full retail!] before PSB played in town in 2014 at Moogfest, but there were no copies to be found in town so I didn’t. Speaking of the new album, you get Viva Love when you preorder the mp3 album via Amazon. With Super, by the time the album came out I think three tracks were available. I would be thrilled if that would become the norm, even moreso with this album. The Fry/Dudley connection has me really happy. A few years back Blank and Jones were given access to the ZTT masters to do a remix album of ZTT acts (which was FGTH heavy in the content) with the caveat that the mixes had to sound period specific. It would be great if they could be unleashed on the ABC masters, particularly the original Lexicon of Love. The original songs have such great economy to them however if B&J could pull off the same quality for a SoS 80’s ABC project I would be there with money in a flash. Tim – Well, in the singles-free-hell-on-earth we now inhabit, giving preview access to tracks ahead of the release is the least they can do! Good call on a Blank + Jones ABC retro mix project! Tell the parties involved that concept! Monk – this is perhaps the most earnest and enjoyable reads about this release that I’ve read yet. It is more of an event 34 years in the making, than just another record release. Though “Viva Love” is more “Abracadabra” (not a snub, but rather an observation) than anything ever to come out of 82’s Lexicon, I truly hope that the LOLII delivers on a fraction of what’s expected of this record…. I met up with Martin and his wife Julie last August in Vegas. He told me about this record and its intention. I smugly, though regrettably, replied “That’s impossible.” And now here we are, only a few weeks away from making the full circle that defined ABC. Jeremy Kennedy – We shall soon see. I may have to update the ABC rock GPA when this hits. I did it with Duran’s last two! Well this is going to be less nail biting than I expected. The re-vamp of Viva Love is one of those hope springs eternal moments. It gives me a belief that Martin knows what he’s doing here. As a new track back in 2004, I found it disappointing and a bit of a throwaway from the Abracadabra sessions (another album I like much more than most, I fear). Here it is re-jigged with just the right amount of LOL magic dust and tension. It’s pretty darn impressive actually. I have to be honest in that I am a HUGE fan of Beauty Stab. It is no where near as disappointing as anyone has ever written. I have probably listened to it as much as Lexicon Of Love over the past 30 odd years and still enjoy every moment of it. As for format buying, I hope there is a CD to be had. The iTunes album is already pre-ordered. Will I buy the vinyl, that remains to be seen. I originally pre-ordered the cd from Amazon uk, it was 14 pounds at the time. When I saw the digital release over at Amazon us I grabbed that instead. As much as I would like the physical one I guess I am waiting for someone (here hopefully) to give it a review including the liner notes. It’s a lot of money to spend for maybe For a while Amazon was doing pdf’s of the notes for people who bought the mp3 album and that seems to have gone away. It’s a pity, some of us like the art, like knowing who’re we’re listening to and who worked on it. Apparently Martin Fry wanted to call it ‘The Lexicon of Lost Ideals’…the record company suggested (insisted?) on LOL 2. SimonH – Let it not be said that UMG doesn’t know how to work that action. Apparently there is a video now for Viva Love if you live in the right part of the world to see it. Tim – I saw that Julian Temple was tapped to direct that clip. Obviously, no expense was spared. Can Mantrap part 2 be far behind?!?!?!?!?! Tim: Mantrap II: Electric Boogaloo! I just saw recently that vixen Lisa Vanderpump from the video of “Poison Arrow” and “Mantrap” is apparently some horrifying reality TV “star” now! How the modest have fallen! I haven’t looked her up online but funny that the #1 attraction of the show after the music was the first thing that you thought of, too…..
Echorich – brilliant selections! They are all alphabetically definitive of the suave romanticism that is ABC. Nothing can sweeten a pop song like the magic of Martin Fry with his golden throat and the polished production that is expected from everything he does. I might add “Rage and then Regret” to the list as well from Alphabet City which Martin poetically coins as “the album that wears the cuffs.” And if anyone ever wondered if Fry can carry his own without a supplemental symphony, they might consider “United Kingdom” from Beauty Stab – the only track in ABC history that features Fry and one lonely piano. Jeremy Kennedy – Re: “United Kingdom.” Well, spotted, sir! I think I’d have to fully agree on that choice. But what would I swap out of Echorich’s playlist to slot it in? Hmm. Must reflect. Echorich – What a good idea for a playlist! We’ll have to compare and contrast once it gets unleashed. Tim – so I didn’t want my Imaginary LOL 2 to be a greatest hits album as much as a have a sort of, dare I say it, conceptual feel. I am a HUGE Abracadabra fan and Love Conquers All may be the best Blue Eyed House song EVER. I swapped out Ocean Blue for Between You And Me for the lyrical and emotional power of the latter – for me at least. Jeremy – I agree with United Kingdom, but I was going more for the “powers of love” (No FGTH reference meant there) over anything else. It’s why Unzip isn’t chosen either… I dithered on Rage And The Regret as well…It made the first two cuts, but the song that always spoke to me the most on Alphabet City was King Without A Crown. Monk – I’m curious where your Imaginary LOL 2 might go. 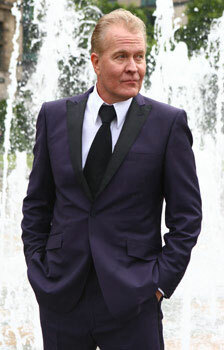 I have another Imaginary album in mind that is the harder, more glam side of ABC/Martin Fry which I know you and I would find a good deal of agreement on. Echorich – I think you are definitely seeing eye to eye with me on the glamrok side of ABC. It’s what I really appreciated a ton when it manifested big time on “Skyscraping.” As you may be aware, I bought “Abracadabra” for $1 in the Camelot Music cutout bins in the 90s and quickly divested myself of it. Maybe I should revisit those two albums I never liked? I wholly understand why many don’t care for Abracadabra. It is unapologetic in its nod to House Music and has a bit less of the ABC DNA of Up!. But it is such a confident record. I also think it’s a wonderfully produced album. David Bascombe was a genius pick. Tim – for got to mention – Caroline is from Traffic. I just love that album. And I agree about the D. Morales remix of Love Conquers All – it is odd that Paul Dakeyne from DMC was brought in to “edit” this gorgeous mix. I do love David Bascombe’s Extended Remix as well. Who Can I Turn To? I like the use of Avenue A & Avenue Z to give that Reprise feel. Mythical Girl was a VERY ABC song and I think that’s what Arthur Baker was going for. It really harkens back to an early 80s feel, taking some of the best sounds from LOL and Zillionaire into account. Echorich – You remind me to give my copy of “Merge” a spin. It’s been a long time since I’ve listened, but with Andy McCluskey, Martin Fry and Etienne Daho all present, it was a must-buy. Tim – I’m on the side of leaving Jimmy Somerville. I could never stand his singing. Bronski Beat was appealing in many ways but I could not get past that voice. When he went solo, it allowed me to finally enjoy Bronski Beat! I am a big Etienne Daho fan, but I’m about 15 years in arrears as to his most recent albums! Buy “Pop Satori” and thank me profusely! Thanks for the suggestion, will start looking for that this evening. Is is hard to find? “Kiss Me Goodbye,” another track from Abracadbra era if i am not mistaken, is up on Amazon for those who pre-ordered the MP3 album. I’ve seen a couple reviews of the album on UK media and they have been quite positive. Tim – Echorich is enjoying his pre-release preview tracks. I’ve got optimism to spare regarding Mr. Fry’s efforts. I’ve loved the last two ABC albums, even though they take up a 19 year span. I would rather have two good albums in 19 years then a bunch of bad ones one after another (*cough* *cough* see also movie franchisitis *cough* *cough* ). Tracklist subject to change in 72 hours. Love this mix…I will have to program it as a playlist and groove on it! Thanks, Echorich, for the kind words. I’m flattered, the playlist has evolved a little bit. Tim – It’s also worth mentioning… for the sake of argument, at my age, 19 years feels like three, tops! Love the new album. One misstep there and one track I would prefer as an instrumental but overall a really solid first impression. Tim – You’re way ahead of me here. I still need to somehow get a CD. I would very much like to have the cd for the art and liner notes but I couldn’t bring myself to pay $20 for that so I went for the MP3 option via Amazon. having said that today I also received a very rare Japanese cd single only of Swing Out Sister’s “We Can Make It Happen,” completing my collection of items from “Shapes and Patterns.” I spent way too much on that but 21 years of trying to find a deal made me finally push the button and just buy the thing already. LOL2 is not even guilty pleasure territory. I would say, after listening to it for about six hours at work today, that 1/2 of it is solidly good instantly engaging, check the mp3 player for the title, enjoyable pop music. 1/4 maybe is grower. There’s one track I can entirely live without (The Singer and the Song) and a couple that may or may not be growers. Overall it is a very respectable effort in his work and I am glad that I bought it. I may even snarkily say that it’s the first SUPER album that I’ve bought this year. And I read further and found the answer to my querry. I was afraid Singer Not The Song might be the answer. It is Fry on his glam horse and I am a really big fan of that. It also has a feel of a Beauty Stab era track with a very 2016 lyric. Ten Below Zero. I’ve been trying not to name names as to not prejudice ears that haven’t heard it yet. I’ve been updating my integrated ABC playlist and should have a new one tomorrow that is pretty robust. Loving the new album, best comeback since Alpha’s stellar release of ”Loving Nobody” last year. Great choices from an absolutely great album. The only albums that have been as instantly likable for me in the last couple of years have been Richard Hawley’s and Alpha’s. It’s really refreshing to have a new album that you just want to listen to and turn around and start it over right away. Bowie, Iggy and ABC… my top 3 so far this year. SimonH – I have not heard a disparaging word from any quarter regarding ABC and most of what I am seeing are near-raves. Of course, I’ve been saying that for 19 years about Mr. Fry. I guess it took blatant marketing to put it over this time. A tip of the hat to UMG. Listening again now, to use a cliche, they really don’t make them like this any more….love it. Number one on Amazon UK apparently, was probably astute to change that title! Also, don’t know what the dynamic range is, but sounds like a good mastering job to me, which always helps. SimonH – Anything with the title LOL2 just can’t be brickwalled! The original was a sonic watershed of its time and even though Horn was not involved I’m certain that the sonic stakes were considered to be an important factor to live up to. I was thinking about this today as well. It may be a bit of a mixed metaphor, but the sound is so bright and colorful, as well as warm and tonally rich. Agree, Tim Young mastered it, sounds perfect for the music to me. If any of the Post Punk Acolytes here are thinking of grabbing this and are curious what it sounds like here is a capsule review. I was thrilled to see a running time of over seven minutes. The track is very reminiscent of the “No Protection” Mad Professor remix album of Massive Attack’s “Protection.” It’s an interesting dubby track and certainly the oddest ABC mix I’ve yet acquired. Tim – I’ve had that one for years in prep for the stillborn ABC BSOG that I began 3-4 years ago and stopped cold on. Does anyone know if there have been any remixes of the new material? I haven’t seen anything official or any fan mixes, culture on Soundcloud, Hearthis and even YouTube for that sort of thing isn’t what it used to be (even compared to a year ago). I did make a slightly extended Viva Love for my expanded LoL playlist. If you trim the intro of the song you can mix in the reprise at the front of it, works quite nicely. Tim – You know me. I’m canonical! Fan mixes don’t count! I am not surprised by your efforts as your reputation here is well known. I know, I know. The funny thing is that fan mixes from certain vintages are better than the commercial releases. There’s one guy who guys by the name St. Ken and he does some really good stuff but he’s got the same beat through everything he does. Drives me nuts. By the way, if you ever find yourself working on that ABC BSOG I would be happy to loan out to you my tour program from 1983. There’s some stuff in there that you could probably use for creating your liner notes. When we last spoke you mentioned that you were about to start working on a new studio album. At what stage are you at with that? Well I have written six songs. I’m currently writing and collaborating with a number of people. We have a couple of songs called Look Good Tonight and The Life And Times Of A Troubadour together with a few autobiographical songs which will be on the album. It is actually all starting to come together. I didn’t want to leave it ten years until the next album. Do you have a release date in mind? It will most probably be released sometime in the early part of next year. Tim – Nice catch there! I’m amazed that he’s already going head first into the next album. The last 20 years have been tough to be an ABC fan, though the albums have been worth the wait. [I still need LOLII, if you can believe it!] I think the idea of Kid Creole and the Coconuts opening for ABC is extreme value for money! Good call on picking them to open, Mr. Fry! How I’d love to see either gent in my lifetime. I don’t mind the dry spells as long as when an album comes out at least 2/3rd of it is what I call “worth my money.” In all honesty, I would rather buy a mid-priced EP with several solid songs on it than a full cd where I only like maybe 60% of the tracks. They funny thing with the last ABC player is that the tracks I didn’t like were ones that other PPM commentators liked bunches. What would be REALLY NICE would be if Mr. Fry could work out some decent US distribution. I snagged LoL II as a MP3 pre-order on Amazon and it’s gone now. They had DeLucixon up as the same for a very brief time, which is great if someone is unwilling to pay for an import version of the physical copy. Then, that too, went away, as mysteriously as it arrived. The distribution end just boggles me, I’m working on the various Everything But The Girl deluxe reissues right now. Now honestly I prefer the physical product on these, they’ve really it the perfect sweet spot on content both physically and for sonic content. But, for buying the physical ones, a lot of them are out of print it seems and prices, particularly for the first two albums, are reaching crazy levels on the used market. Over on Amazon UK they’re available as MP3 but being a yank I am unable to order that product. I just shake my head, I thought the whole point of selling a product was, you know, you make something and people give you money for it! I saw these sites years ago and haven’t been back to them in ages. if you are an ABC nutter you may want to seek out the UK12” of King Without a Crown. I am not one to rave on how this or that vinyl beats the cd but hands down, that one just sounds incredible, especially the live tracks on the b-side. Long time ABC fan here, have done my own deluxified takes on most of their albums including the odd mix of my own making here and there. Still looking, 25 some odd mixes in, for the ultimate Look of Love mix. negative1ne – Those are some expansive looking projects to take a gander at! I’m glad to see I’m not the only fan obsessive around here! Excellent work, Comrade! Thanks for the comments. i’ve been a fan of abc since lexicon of love came out, i have followed them pretty much through their whole career, and seen them live 3 times through the late 90’s and 00’s. a few additions:i have most of the odds and ends mixes you’re talking about. There’s a person or group of people in the fanedit community that go by the handle Negative1ne – are you any affiliation with them? i used to work on a lot of Star Wars preservation and restoration projects. but that’s moved on. so in a way yes. You wouldn’t happen to have worked on the clean up of the cut scenes, would you have? I lost the thread that had the ABC orchestrated concert video conversation going, if one searches on YouTube for ABC & Zagreb Stars Orchestra you are able to find a nice pro-shot concert with Anne Dudley. Not sure how I found it but I grabbed a copy while it was up, these things can be here today, gone tomorrow you know.